1-2-Writing is a very small organization. Currently, it is running with a negative profit margin. But this is okay. We are an expanding organization with a great deal of potential. By hiring dedicated individuals who love writing and teaching, I believe that 1-2-Writing can provide a very rewarding experience for many website visitors. It is my hope that these visitors will then decide to join the site as members and customers. To accomplish this, 1-2-Writing must succeed in three critical areas: Writing, Teaching, and Website Development. Naturally, interviews must be targeted to find candidates who can best contribute to these three areas. The primary focus of the site is creative writing. We want to teach visitors how to become better writers. This is involves two aspects. First, we help visitors release their inner thoughts onto the page (this is the “Inspiration” aspect of what we do). Next, we provide tips on how to build this inspiration into highly readable and publishable material. The first part of the interview should focus on the candidate’s writing experience. What does the candidate like about writing? What are his or her writing goals? And note that, in hiring, we do not discriminate based on preferred genre or style – every writer has something worthwhile to teach. If a candidate mentions “I’m writing a novel” or “I like poetry,” then follow up with “how is the work going?” or “how long have you been working on it?” Generally, avoid asking anything along the lines of “are you a poet or a novelist?” Instead, keep things open. Ask the candidate “what kind of writing do you prefer?” Rather than categorize our candidates by genre preferences, we want to evaluate them based on their love of writing. This phase of the interview process can be used to set the candidates at ease. It’s a good time to just enjoy the idea of writing – feel free to mention some of your own work as well, but focus on the candidate. Let the candidate discuss whatever he or she is comfortable with. Save the tough questions for later. Now, please bear in mind that not all candidates will have much writing experience. This is all right. We are looking just as much for potential as prior knowledge. Not every candidate will qualify to be a teacher right away, but anyone who is reliable and dedicated to the art of writing can contribute to the website. Our emphasis is writing, and I see teaching as a critical component of this. We will set ourselves apart from other writing websites by providing effective teaching for our students. Further, we will set ourselves apart from workshop websites by providing free materials on the site for our visitors. And a large portion of this material will be tutorials on how to teach. We want to cater to all writers, and teachers in particular. Generally, writers who go on to publish will, at some point, find themselves teaching as well. Among our candidates, we’re looking for individuals who believe in the workshop process. Additionally, they should believe in the openness of the workshop process, in making it accessible to writers of all levels and in all genres. As 1-2-Writing does not discriminate based on genre, we want to ensure our associates support the legitimacy of all forms of writing. For part two of the interview, ask the candidate about his or her prior workshop experiences. What parts of the experience were helpful? Just as importantly, what parts of the experience could have been improved? Ideally, we want candidates who can think critically about the process of education just as they can think critically about the art of writing. As above, it’s possible that a candidate won’t have had much prior workshop experience. This, too, is all right. Ask the candidate what he or she would hope to gain from a workshop. Ask whether the candidate has had the opportunity to take part in a workshop. If there was the opportunity, why wasn’t it taken? (and there are many, many good reasons – time, cost, and bad vibes are a few good answers). As a creative writing website, it’s likely that we won’t attract as many computer-savvy individuals as the typical internet start-up. And this is all right. The system we have is a bit clunky, but it works. We can wait until the website starts turning a profit before we seek professional help. In the meantime, there will be applicants with prior website experience who do apply. And there will be some applicants with no experience who apply. Most applicants, however, will be somewhere in the middle – they are proficient with e-mail and Facebook, but have not had much experience with HTML or blogs. And this is all right – associates can be very quickly taught most of what they need to know. Typically, at this point the candidate will ask about which projects we have available. And this is a good time to bring up current projects we have going – talk about our Content, Services, and Marketing campaigns. Feel free to mention any projects that you yourself have played a part in. We want our candidates to hear what we’re doing to make the site successful. And we want them to also see that there is work involved. In these questions, we mostly want to know how the candidate might fit as an associate of 1-2-Writing. Unlike many organizations, we are not seeking a “balanced” staff – we’re looking for a quality, friendly staff. If we have ten poets and two fiction writers, so be it. If we have twenty people working on Facebook marketing and only one person interested in content, then we’ll still bring in a lot of visitors. Or, going the other way, one Facebook person and twenty content-writers working together will raise our search rankings and generate good word-of-mouth. Conversely, if we have ten people working on each, and some of them really don’t like what they’re doing, then this will show. The website won’t be as friendly and useful because our associates won’t be as happy. And, naturally, productivity would decline. (and yes, productivity is critical for an enterprise like this – in order to turn a profit, we’ll need to provide a lot of service to a lot of people). For this reason, these questions should also be relatively relaxed. Find out what the candidate is good at, and then ask how the candidate would use those skills for the website. Then ask the candidate which skills he or she would like to be good at, which skills he or she would like to acquire as a 1-2-Writing Associate. In all cases, we want our associates to find their work interesting and challenging, and a position which teaches something new tends to bring out better work than some job slogging through the same duties day-after-day. 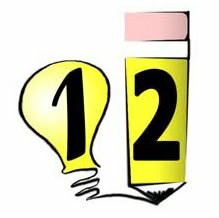 For this reason, it’s hoped that interview candidates will have a couple ideas of what they would like to learn through their work with 1-2-Writing. The quality of an organization is measured most in the quality of its people. The best technologies have all been designed and implemented by individuals who are passionate about their work. The best service is always provided by individuals who are enthusiastic about their positions. And yes, we can say that the enthusiasm comes from believing in a product, but the product is really a secondary consideration. For us, our product is delivered by a group of hardworking, dedicated writers. If we can believe in our product, it’s because we believe in our organization. It’s because we can trust that the critical decisions will be made by people who care about the needs of the customers and the needs of the associates. It’s because we know that a customer who visits our organization will be treated with respect by every member of our team. We know that the people we help today will not be turned away by our colleagues tomorrow. And – just as importantly – every member of the team will be fully accepted as a writer and a teacher, regardless of his or her current level of ability. As always, our goal will be to help each associate reach his or her potential in the same way that we help each visitor do the same. You need to interview you candidates before hiring them as you have to choose the best of from them for your own benefit as the best can do the best. on this page you'll be get more ideas about the writing help. You have to job interview a person applicants prior to employing all of them because you need to select the right associated with from their store for your own personal advantage since the greatest can perform the very best. about this http://www.businessproposalletter.net/ web page you will be have more suggestions concerning the composing assist. You might have discussing creating individuals meeting. To see http://www.punctuationchecker.org/ engage the most effective article writer you must pick simply by meeting need to. In the event you retain the services of any article writer together with meeting next you'll get proper perform.